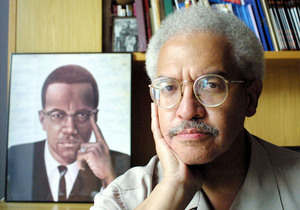 Join us for the second part of our tribute to Manning Marable, the brilliant scholar who passed away just days before his groundbreaking new biography of Malcolm X was published last month. Manning was scheduled to speak about Malcolm X: A Life of Reinvention, which seeks to redefine Malcolm’s legacy in many ways, at the Enoch Pratt Library in Baltimore, and so to honor his life and work we put together a panel of other leading thinkers to discuss the new insights on Malcolm X’s life that he broght to light. I am deeply intrigued, and profoundly grateful, for the panel presentations and questions presented to us! MANY THANKS TO ALL. Questions and insights raised are precisely the types of food for thought that we need to continue the challenging journey(s) forward of African Americans, and all U.S. inhabitants, toward a humane and socially-just society.